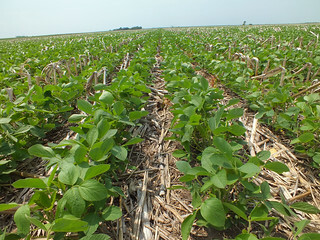 Last week, the NRCS Redfield Field Office staff took me by an awesome no-till field with soybeans into corn residue. I couldn't resist grabbing a few photos. GREAT JOB kudos to Alan and Brian Johnson in Spink County, SD! The field has been under a no-till farming system for about 20 years.